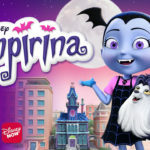 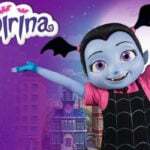 Vampirina is just one of several Disney Junior characters who pop up in the show to boogie down with an audience full of kids and families in the Hollywood Land area of Disney California Adventure. 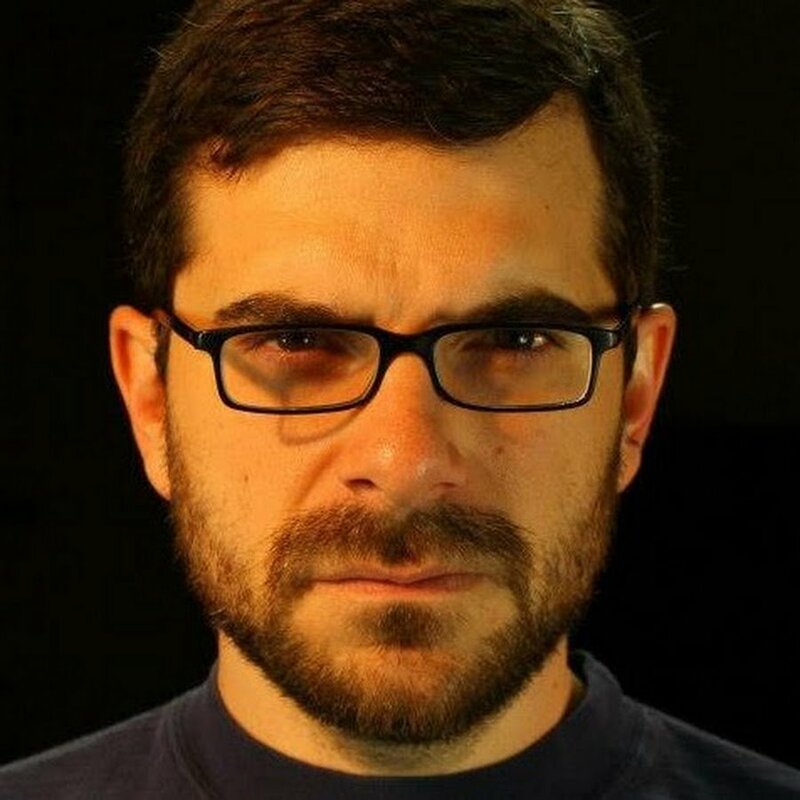 Watch the video below to check out this new five-minute portion of the show. 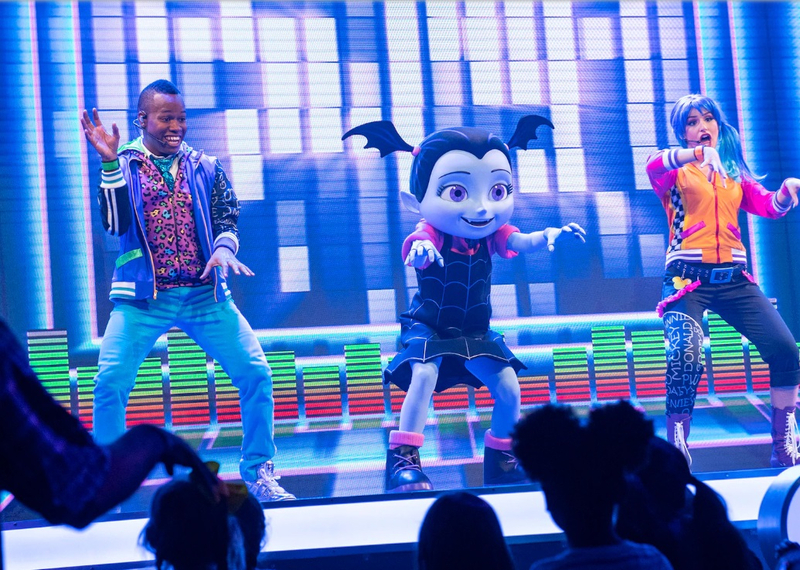 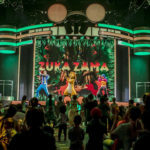 Since this past December, “Disney Junior Dance Party!” has also been available at Disney’s Hollywood Studios theme park in Walt Disney World. 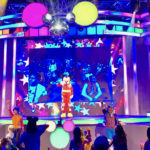 “Disney Junior Dance Party!” runs several times daily in the Disney California Adventure theme park at Disneyland Resort in Anaheim, California. 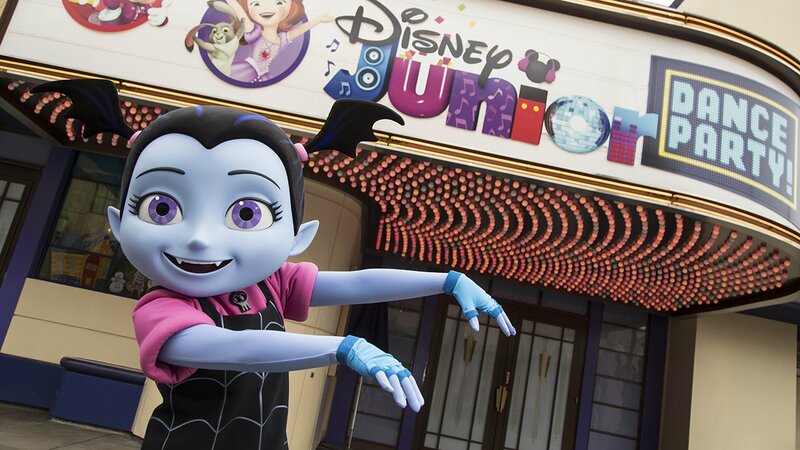 For more information, be sure to visit Disneyland’s official website.